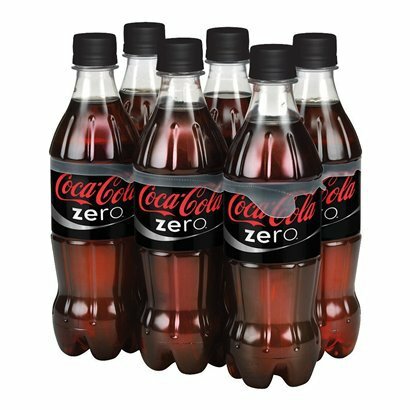 I know drinking soda is not good for me, but Coke Zero or Diet Cherry Pepsi have been my beverages of choice for years. Hi, my name is Jennifer. I’m addicted to soda. I love the bubbles dancing in my mouth…and truth be told, I love the sweet taste and quick rush soda gives me. And it’s diet, so I don’t have to worry about the calories. I know I should drink more water, but how can I give up the flavor? I decided to give up drinking soda for Lent. There’s greater success in achieving a goal when we are held accountable for our actions. So who better than God to keep me on my toes? I don’t need Mayor Bloomberg to help save me from my own habits, but politics aside, I think he’s got the right idea in limiting the sale of soda to something smaller than the size of a personal keg. I’m proud to report I was successful—not a drop of Coke Zero or any other soda for 40 days. Not even a sip on Sundays when we’re free to indulge. I wanted to rid myself of the craving so drinking it every Sunday wasn’t going to help me. In addition to breaking the diet-soda habit, I thought it would help me drink more water. I can report that was an “epic fail.” I drank plenty of black coffee and green tea—I’m probably medically dehydrated and low on calcium, but that’s another story. Hey, small steps for big gains—leaving the water drinking situation for another day. We’ve all heard how soda is bad for your health. I’m not here to make any judgments on food and drink choices, but understanding my choice to give up soda wouldn’t be complete without some background information. According to a report by the Centers for Disease Control on obesity statistics in America, more than 1/3 of American adults are considered obese. Obesity rates among adults and children continue to rise. One contributing factor is the consumption of sugary drinks like soda. Add all the health problems related to obesity when listing the reasons not to drink soda. Heart disease, diabetes and metabolic disease are not good, but as a woman who drinks more coffee and soda than milk and water, I found osteoporosis the most frightening of the problems. Researchers at Tufts University, studying several thousand men and women, found that women who regularly drank cola-based sodas — three or more a day — had almost 4% lower bone mineral density in the hip, even though researchers controlled for calcium and vitamin D intake…Phosphoric acid, a major component in most sodas, may be to blame, according to lead study author Katherine Tucker, PhD. Phosphorus itself is an important bone mineral. But if you’re getting a disproportionate amount of phosphorus compared to the amount of calcium you’re getting, that could lead to bone loss. And let’s not forget reports on the negative effects of artificial sweeteners, sodium consumption and high-fructose corn syrup—but that’s another blog topic entirely. I felt giving up soda was an important goal for me. Drinking milk and water; not juice and soda. Eating lean proteins and whole-grain; not fast food and junk food. Enjoying fresh fruit and vegetables; not sugary treats. Do as I say, not as I do: Yep, I’m a hypocrite…a fraud. I drink a lot more diet soda than water and milk. I am weak and will scarf down a snack-size bag of chips or handfuls of Pepperidge Farms Goldfish before I consider an apple or raw veggies dipped in hummus. (And I wonder why the jeans feel a little snug or why the kids give me trouble about food choices.) We preach to our kids but how often do we follow our own advice? I’ve replaced Coke Zero with a glass of my favorite flavor of seltzer. If you give up (diet) soda because of the artificial sweeteners, then it’s almost impossible to find alternatives—except water and flavored seltzer—which do not contain them…or lots of calories. Eliminating soda from my diet but adding jelly beans is dumb—for all the sugar and chemicals, might as well drink the soda. Start water addiction. 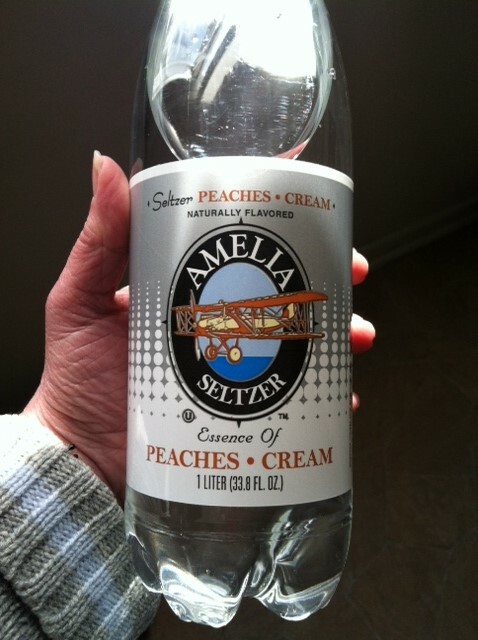 Flavored seltzer is great if you crave the bubbles. And with the hotter months ahead, ice-cold water will taste much better. Flavored seltzers should be added to beverage dispensing machines and bottles stocked in refrigerated cases. Sure, plain water is usually offered at restaurants, but I just explained that I need to work on my water addiction. Buy honey, mint or lemons and teabags to make fresh iced tea. Wine and spirits do not count as appropriate alternatives regardless of their finer, pure qualities. What habit have you changed for the better? Are you a soda or water drinker?